Jet!! 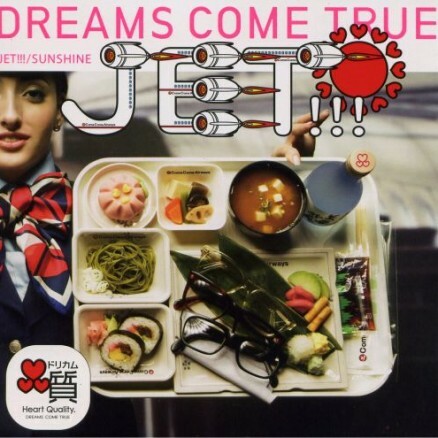 !/Sunshine is a double single and DCT’s final single of 2005! It comes in two versions. This Kikumiru set includes a bonus DVD of the ‘amorétto’ movie. The Kikukiku set includes a bonus CD of new versions of Winter Song. ‘Jet!! !’ is the theme song for a Lotte Ghana Milk Chocolate commercial. ‘Sunshine’ is the theme song for the “Mezamashi TV” show.